When you get back to a certain point in history, you are going to run into a few basic problems. First, it seems that every darn one of these people is named John – and there are tons of them. But only a couple of them were ever written about or mentioned in the county histories – and of course, none of them were ours. That would make this too easy. According to my paperwork, John Craig and Mary “Polly” Unknown were the parents of Harriet Craig. 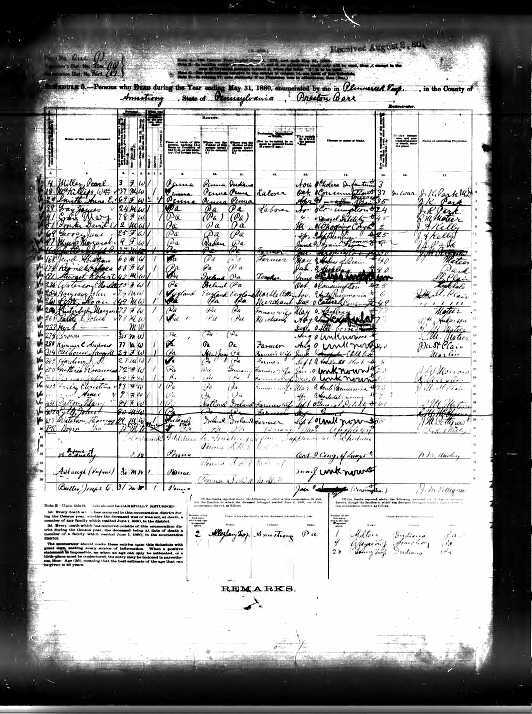 Harriet and John Shaffer were married in the 1840s prior to the by name census, so it’s not possible to place Harriet in her parents home using census records. 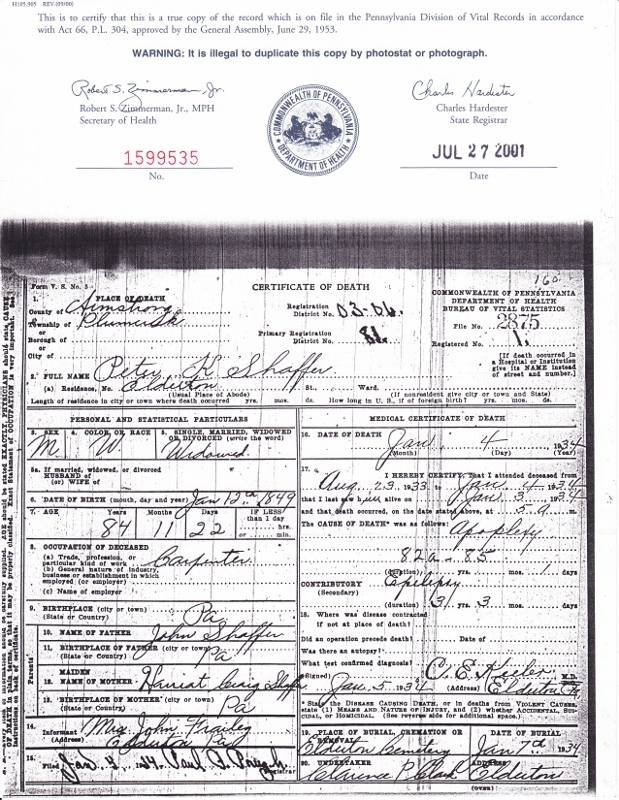 There are numerous family trees online, which agree with my paperwork; however, they provide no proof or documentation. My beginning source was my father-in-law’s family history. He was well acquainted with Harriet’s son Peter and would have been aware of the relationship. Based on that, I will continue with the research for this line and attempt to find some other documentation to back it up. I have an extensive list of items yet to research when I go to Salt Lake City this summer and (hopefully) back to Pennsylvania within the next year. Until then, I’m at a dead-end unless someone out there has some help they can provide with documentation of who married who, obituaries, family bibles, or newspaper clippings about family members visiting that would tie this family together. There is still a lot of research to be done on the children of this line to see if I can locate any information that might help. Once again, any help is appreciated. 1. 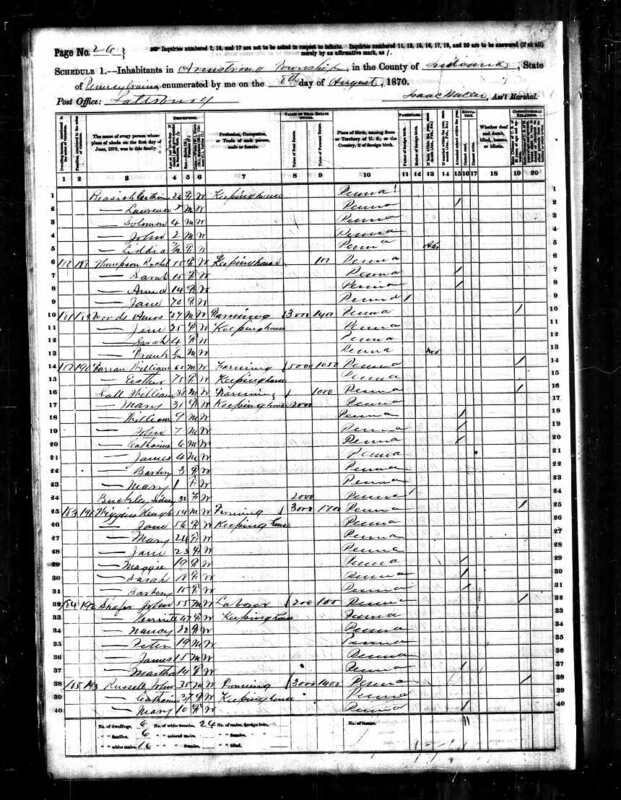 1840 U.S. census, Armstrong, Pennsylvania, Plumcreek Twp., p. 34, John Craig; digital images, Ancestry (http://www.ancestry.com: accessed 23 Jan 2012); citing National Archives and Records Administration microfilm M704, roll 442. 2. 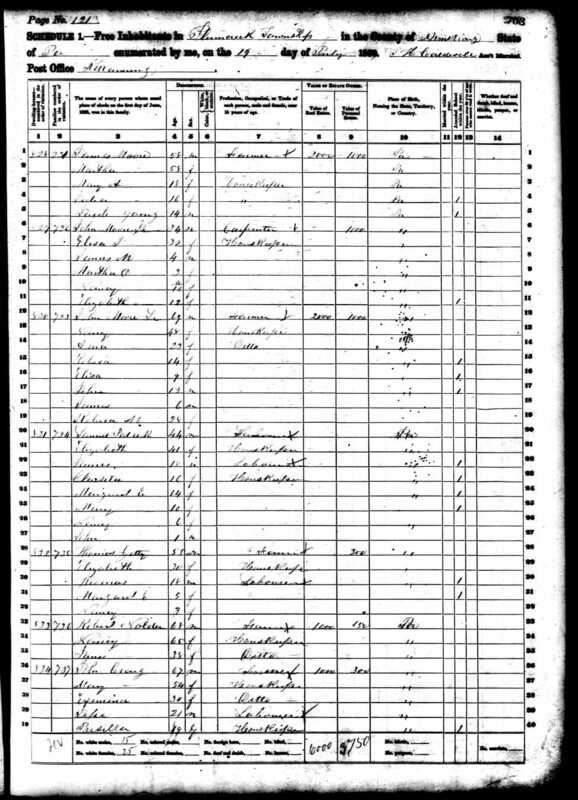 1850 U.S. census, Armstrong County, Pennsylvania, population schedule, Plumcreek Twp., p. 350A, dwelling 234, family 234, John Craig; digital images, Ancestry (http://www.Ancestry.com: accessed 21 Dec 2011); citing National Archives and Records Administration microfilm M432, roll 749. 3. 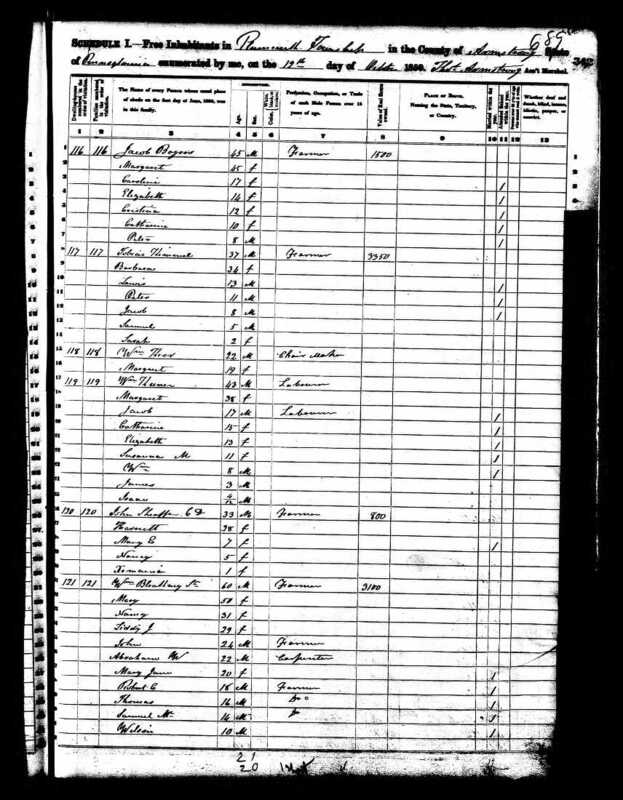 1860 U.S. census, Armstrong County, Pennsylvania, population schedule, Plumcreek Twp, p. 703, dwelling 834, family 737, John Craig; digital images, Ancestry (http://www.Ancestry.com: accessed 21 Dec 2011); citing National Archives and Records Administration microfilm M653, roll 1069. 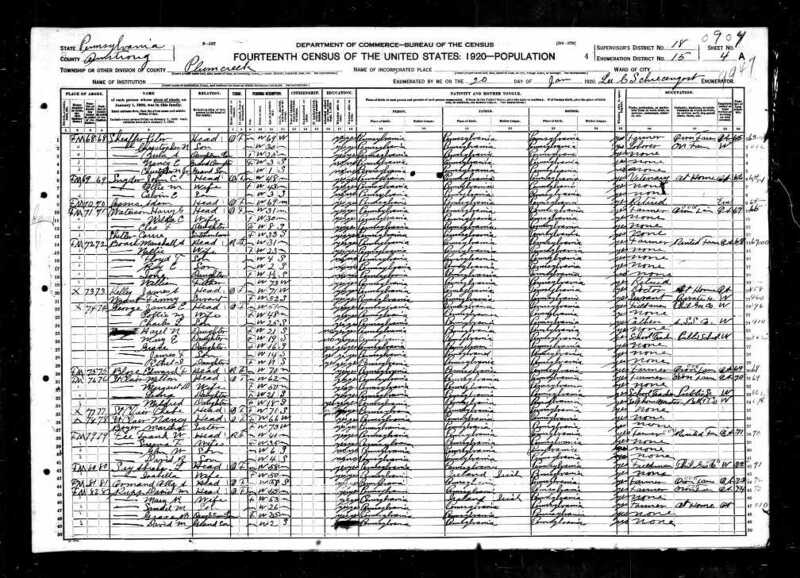 4.1870 U.S. census, Armstrong County, Pennsylvania, population schedule, Plumcreek Twp., p. 350B, dwelling 12, family 12, Polly Craig; digital images, Ancestry (http://www.ancestry.com: accessed 21 Dec 2011); citing National Archives and Records Administration microfilm M593, roll 1301. 5. 1880 U.S. Census Mortality Schedule of Pennsylvania, Armstrong County, Plumcreek Twp., p. 1, line 5, Mary Craig, age 78, general debility; digital images, Ancestry (http://www.ancestry.com: accessed 20 Dec 2011); citing National Archives and Records Administration Archive Collection M1838; Roll 8. Let me begin this post by screaming, “Help me!” The information I have on John Shaffer and Harriet Craig is limited. Information has been hard to come by, but I’m hopeful that someone has the information (documented) that I need to move on with this family. My information began with the two names John Shaffer and Harriet Craig, parents of Peter Shaffer. 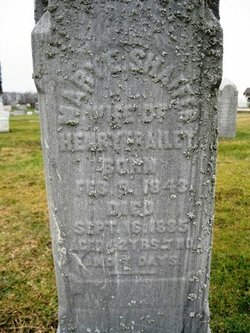 Harriet Craig was noted as being the daughter of John and Mary “Polly” (Unknown) Craig. That’s all the information in the family papers. No birth dates or locations. The only thing my father-in-law could add was that he “thought” Mary (Unknown) Craig was from Maryland, but the others were all from Pennsylvania. He did tell me that Peter had a sister named Martha Jane who married Nancy M.J. Beatty’s brother William James Beatty. Martha Jane (1858-1891) previously discussed in Beatty posts. Based on the birth of Mary Elizabeth, they appear to have married in about 1841/42. I have not yet found a marriage record for them. 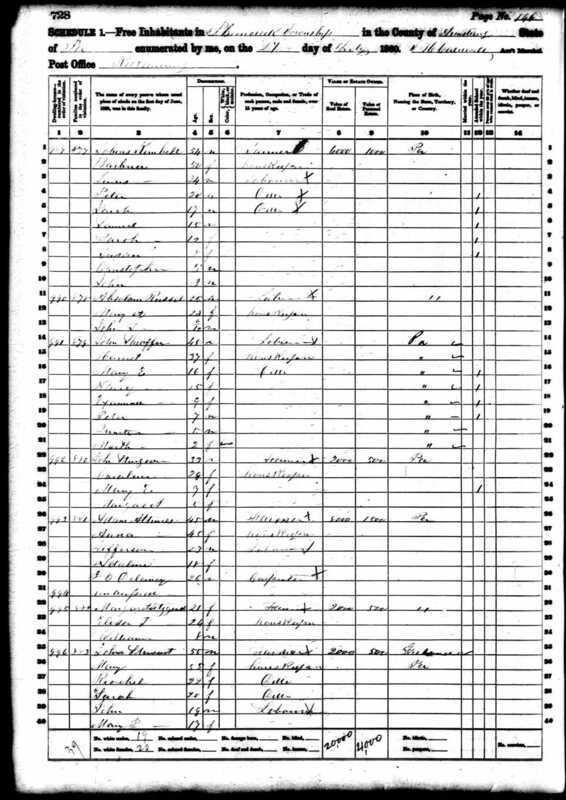 In the 1850 census, the initials C.D. appear behind John’s name. 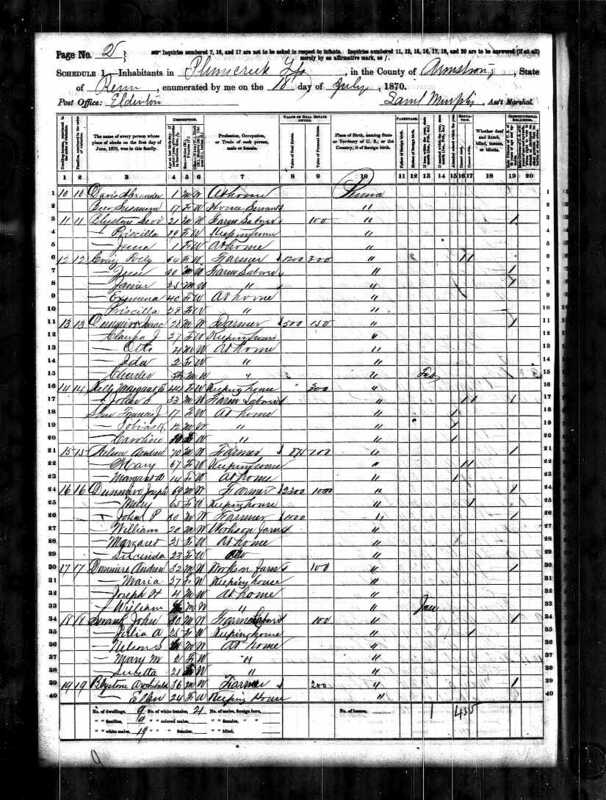 This is the only census record with initials. The other two simply list him as John. Harriet never appears with a middle name or initials. These (1850, 60, 70) are the only census records that I can clearly attribute to this couple. There are several records later, which may or may not be John or Harriet. I have been unable to locate any document concerning their deaths, or any newspaper articles concerning them. So, I will have to resort to my least favorite ways to track the existence of people – tax and land records. I’m not giving up on this family – I will find them. However, it will have to wait for my Salt Lake City trip this summer. As for their children – I found limited records of their marriages, so I followed the clues provided by the family trees on Ancestry. None of those trees were documented, but there was some well sourced information in other places. If anyone has the appropriate documentation, please contact me. Mary Elizabeth (5 Feb 1843 – 16 Sep 1885) I have seen several online trees list a marriage to George Koch, but they were not sourced and I was unable to locate any “hard” records with that information. Other trees listed a marriage to Henry Frailey, and I did find evidence of that relationship. 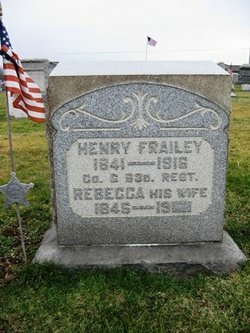 Her tombstone is in Elderton Cemetery, next to Henry Frailey (Jan 1841 – 30 Apr 1916) and Henry’s second wife, Rebecca (Unknown). I have not yet found a marriage record or obituary for Mary Elizabeth. Nancy (Jul 1846 – after 1920) Several trees showed a husband of James Stark. I found a Nancy married to James P. Stark (abt 1844 – before 1900) in about 1873. 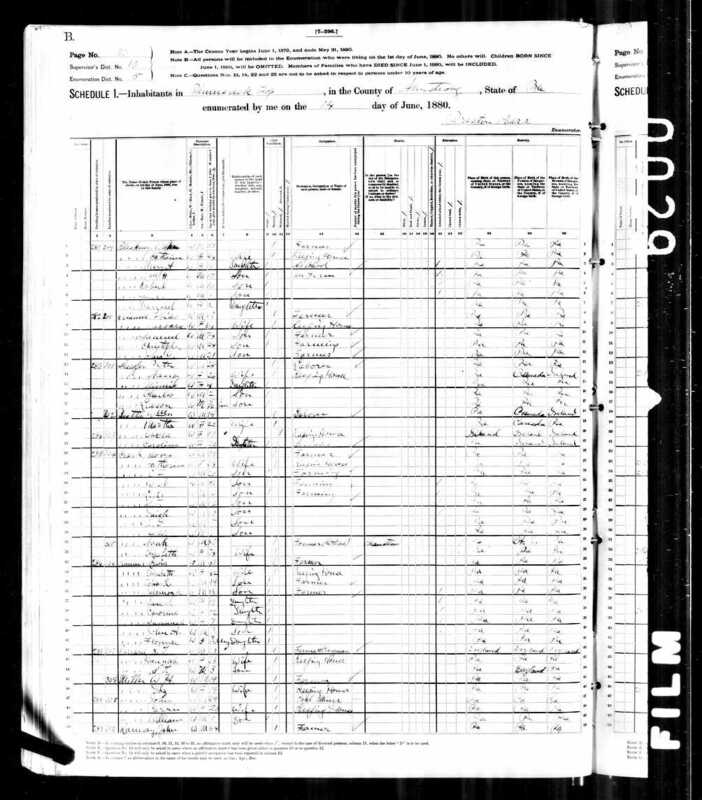 I was able to follow her through the census records in 1920 in Kittanning, Armstrong, Pennsylvania. They had four children: Laura J., Robert Bruce, William Edwin, and Harvey. I found no obituaries for any of the Starks on NewspaperArchive or GenealogyBank. Eximnia “Minnie” (abt 1849 – 9 Oct 1897)4 She married John Lefevre (1847 – aft 1920) on 3 Jan 1870.5 They had four children: Ella A., James W., Alice G., and Charles M. The History of Butler County Pennsylvania, 1895 has a small biographical sketch of John Lefevre and provides Eximnia’s parentage. She is buried in North Side Cemetery. I have requested a photograph of her stone. Peter (12 Jan 1852 – 1934) Covered in his own post. James Quinten (abt 1855 – aft 1880) James married Sophranna A. Blystone (abt 1857 – ) on 4 September 18746 and they had at least one child: Ida. I have found no records after the 1880 census for James Quinten, nor have I found a death record or obituary for him. Martha Jane (abt 1858 – 27 Jan 1891) Married William James Beatty. She is covered in the posts about the Beatty family. Since I have no idea of when most of this family died (or where), I don’t have any further information. Please contact me with any information regarding this family. 1. 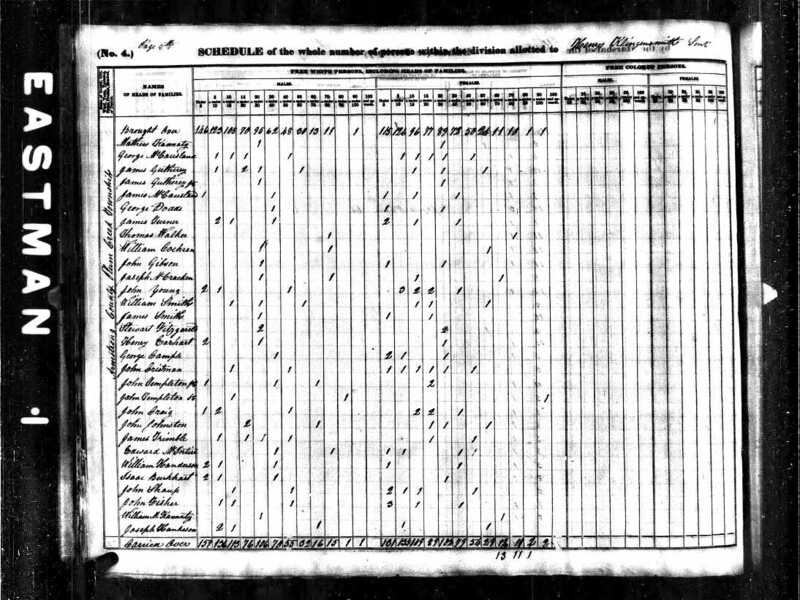 1850 U.S. census, Armstrong County, Pennsylvania, population schedule, Plumcreek Twp., p. 342A, dwelling 120, family 120, John Sheaffer; digital images, Ancestry (http://www.Ancestry.com : accessed 20 Dec 2011); citing National Archives and Records Administration microfilm M432, roll 749. 2. 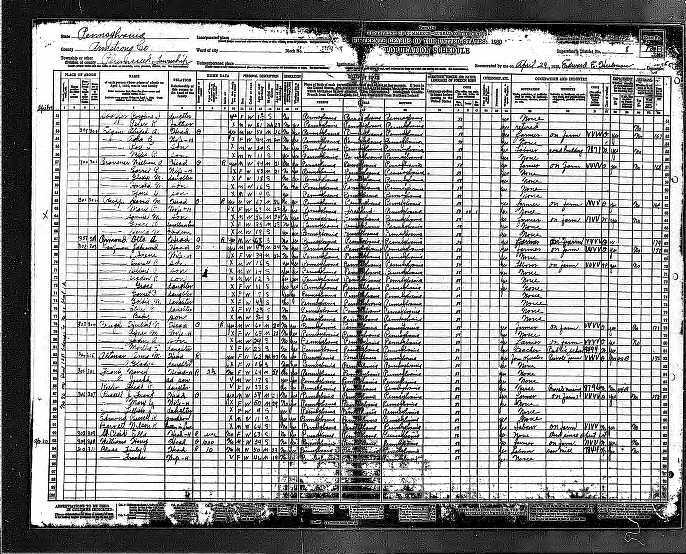 1860 U.S. census, Armstrong County, Pennsylvania, population schedule, Plumcreek Twp., p. 728, dwelling 991, family 879, John Sheaffer; digital images, Ancestry (http://www.Ancestry.com : accessed 20 Dec 2011); citing National Archives and Records Administration microfilm roll 1069. 3. 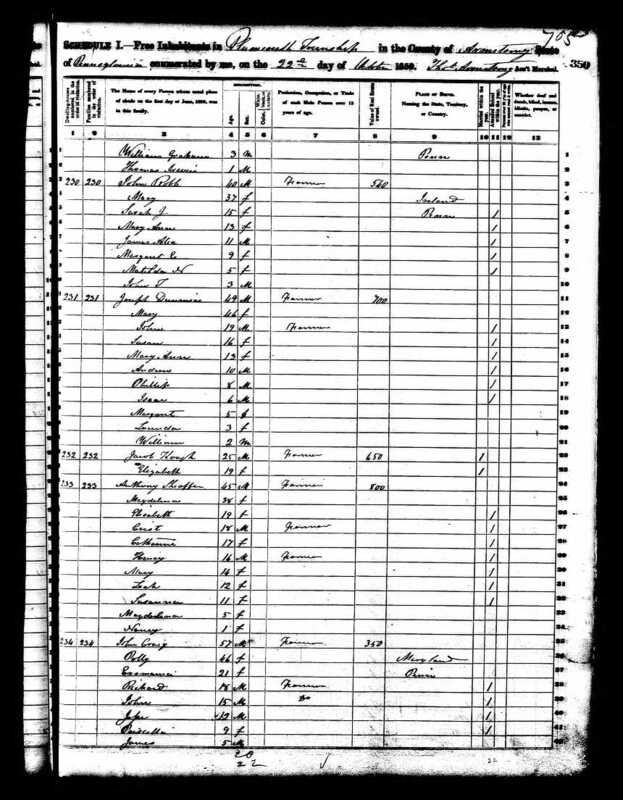 1870 U.S. census, Indiana County, Pennsylvania, population schedule, Saltsburg, Armstrong Twp., p. 13B, dwelling 184, family 192, John Shafer; digital images, Ancestry (http://www.Ancestry.com : accessed 20 Dec 2011); citing National Archives and Records Administration microfilm roll 1350. 4. Butler, Pennsylvania, “Death Records of Butler County, Pennsylvania 1893-1905,” Eximnia Lefevre. 6. Married, “Shaffer-Blystone,” The Indiana Weekly Messenger, 30 Sep 1874, p. 3, col. 6; digital images, NewspaperArchive (http://www.newspaperarchive.com : accessed 19 Dec 2011).